Not that I am suggesting anyone fail to pay their lawful taxes – look where it got Al Capone, for a start. Instead, I turn to the time-honoured practice of the cash-free economy, as a convenient way of reducing or minimizing tax incurred. A wise and talented friend of mine suggested some time ago that we could swap skills to mutual benefit. I knit, she doesn’t; she is a professional artist and I can’t even conjure the artistic verisimilitude of a stick-man. So, I am going to knit her a warm wooly winter hat and scarf (patterns selected from Ravelry, the only online social network to which I belong) and she is going to draw a portrait of me (which I plan in due course shall grace the About page). This is not me. 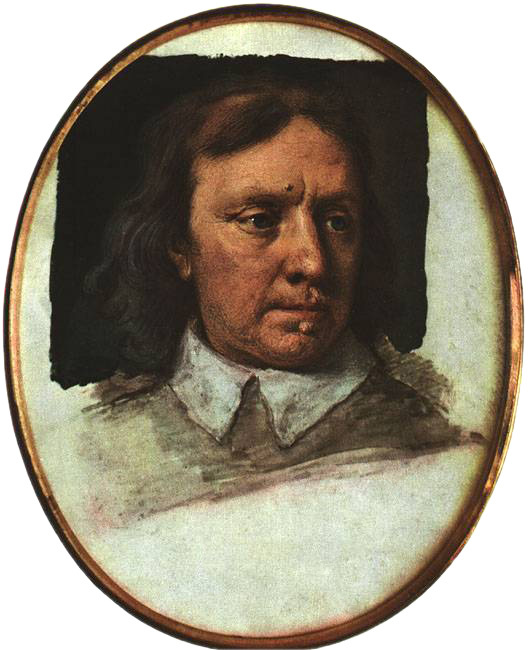 This is Oliver Cromwell. There are a lot of benefits to entering the cash-free economy. For example, the lack of tax. Yes, tax is still payable on the materials, but the labour is untaxed, as is the final product. Consider: How many hours at the DDJ would it take to earn the money to pay for a portrait? More than I care to think of, particularly considering that the government would insist on taking a nice fat slice of tax off the top. Shudder. So much more pleasant to knit instead, which is a) something I enjoy, b) something I find relaxing and c) something I can do while either watching a DVD or listening to my husband read – it doesn’t get much better than that! What skills do you have that others might have need of? Conversely, what skills are you in need of? Cash can be a convenient arrangement when there isn’t a directly reciprocal need, but why go via cash (and be taxed) when you don’t have to? It’s worth asking around – most people are happy to be offered a chance of legal tax avoidance. Barter, cashless economy, payment in kind, quid pro quo – call it what you will, it’s a great old idea. Now if you’ll excuse me, I’m going to put my feet up, have a cup of tea and knit. This entry was tagged Al Capone, artist, barter, Caped Gooseberry, cashless economy, DDJ, Esther Van Kuyk, knitting, Marianne Dashwood, Oliver Cromwell, payment in kind, portrait, quid pro quo, Ravelry, reciprocity, tax, tax avoidance, tea, warts and all. Bookmark the permalink. This is a great idea! I’ve never really thought of doing this myself, although I suppose there’s a general give and take especially within the family. But trading skills, I shall keep that in mind. 🙂 Shame we’re not Italian! Although I do have this godfather…..